This Excel VBA example moves items from one listbox to another, on an Excel UserForm -- either all the items, or just the selected items. 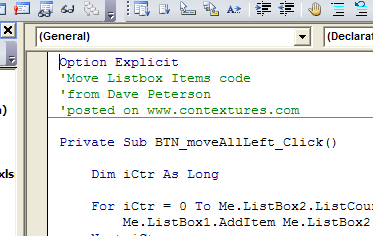 Thanks to Dave Peterson, who contributed this technique to move ListBox items. 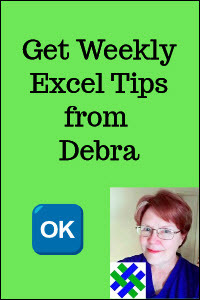 For the worksheet version of this example, go to the Excel VBA Move ListBox Items page. command button to close the form. 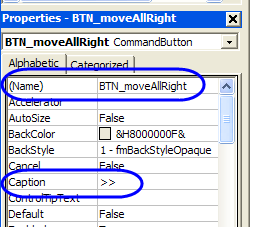 Press the Alt + F11 keys, to open the Visual Basic Editor. 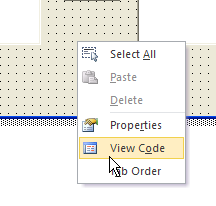 In the Project Explorer window, double-click on the UserForm, to select it. Here, the UserForm is named frmListBoxTest. 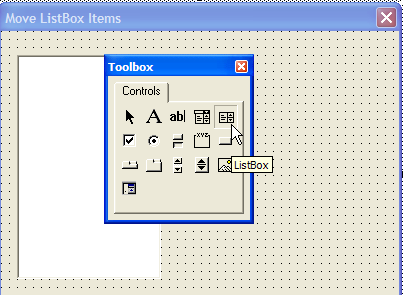 On the UserForm, draw the outline of a ListBox at the left side of the UserForm. 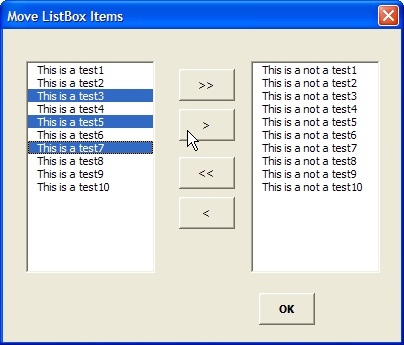 Then, use the ListBox tool again, to draw a ListBox on the right side of the UserForm, or copy and paste the first ListBox. The ListBoxes will keep their default names -- ListBox1 and ListBox2. Next, follow these steps to add buttons between the ListBoxes. In the Toolbox, click the Command Button control. 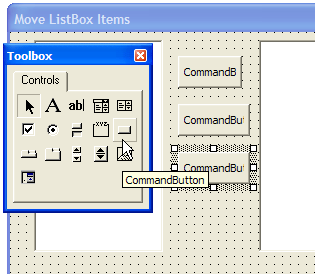 On the UserForm, drag to draw an outline for the first command button, between the two listboxes. Use the command button control to draw 3 more buttons, or copy and paste the first button. Below the listboxes, add one more button, that will be used to close the form. The buttons below the listboxes will be named cmdOK. Then, click on each of the buttons below, and change its name and caption. Copy the following code to the worksheet module. To see the code, and test the ListBox move items code for a UserForm, you can download the ListBox UserForm Move Items sample workbook. The file is in xlsm format, and is zipped. It contains macros, so enable them if you want to test the code.